Just as Jackie Robinson had Branch Rickey, Pittsburgh native and jazz pianist Erroll Garner had Martha Glaser. The University will unveil a display in the William Pitt Union today that showcases jazz memorabilia featuring Garner and Glaser, his manager and a civil rights champion. 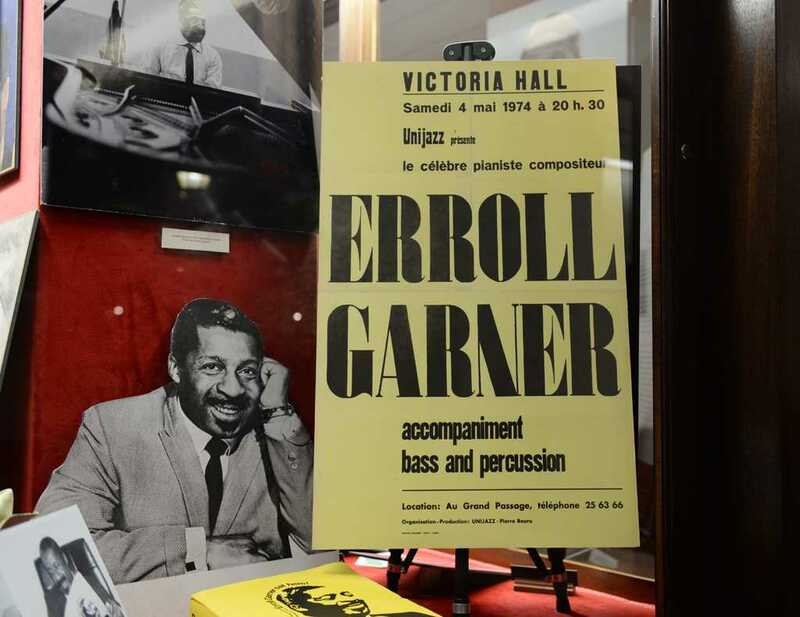 The memorabilia and documents come from the Erroll Garner Archive, which Garner’s niece, Susan Rosenberg, gave to the University last summer. The jazz department will hold an opening ceremony for the new exhibit today at 4 p.m. in the display case in the lobby of the William Pitt Union. The ceremony is scheduled to begin with opening remarks from jazz studies professor Michael Heller, who led graduate students in analyzing the archive and in creating the exhibit. Following Heller, Ed Galloway, head of the University Library Services Archives Service Center, who coordinated the installation, will speak on behalf of the ASC about the Erroll Garner archive. Exhibit curators Miriam Meislik, Billy D. Scott and Jeff Weston will discuss their process analyzing the archives and creating the exhibit. Meislik comes from the ASC, and Scott and Weston are jazz studies graduate students. Pittsburgh has a vibrant jazz legacy, thanks in part to Garner. Garner was born in East Liberty in 1921. By the ’50s, he emerged as one of the greatest jazz pianists in the country. Despite his once-prominent role in American jazz history, he is often underrepresented in contemporary jazz history studies. One of the goals of this new exhibit is to “create an opportunity to bring Garner back into a place of prominence in jazz discourse,” Heller said. “We are very excited to draw out Garner’s connection to Pittsburgh and to use it as a way for the University and jazz program to engage with the community more broadly,” Heller said. Scott and Benjamin Barson, also a first-year jazz studies Ph.D. student, will play piano and baritone saxophone, respectively, to perform some of Garner’s original compositions, like “Mambo Garner,” “Nervous Waltz” and “Misty” — perhaps Garner’s most popular and enduring composition. The archives, which Rosenberg compiled through her Erroll Garner Project after Glaser died in 2014, are currently being incorporated into the University archive system under the supervision of Galloway. “When we received the collection it was already grouped into categories, and I had an inventory of what was there, and we transformed that into a collection guide, which we published online,” said Galloway. The collection guide can be found under the “Course and Subject Guides” section in the ULS. The International Academy of Jazz Hall of Fame located in the William Pitt Union has housed and displayed memorabilia from some jazz greats, such as a trumpet from Donald Byrd, Sonny Rollins’ saxophone and James Moody’s flute. Until now, though, its display has remained stagnant and relatively untouched for more than a decade. “That material was installed in the early ’80s and has pretty much remain untouched [since],” Galloway said. The archive details Garner’s professional career and personal life, showcasing shirts, watches and Garner’s selective service card, as well as original sheet music, correspondence with celebrities and more than 8,000 tracks of recorded music including entire studio sessions. The first 2,500 tracks are now digitized and available to the public at the ASC reading room. The most significant and enlightening part of the collection is the wealth of legal documents between Garner and various record and film entities. The documents, now in Pitt’s ULS, reveal the legal struggles and race relations that Glaser and Garner faced together. One of the more revealing episodes is the four-year legal battle between Glaser and the Vernon Music Corporation over the rights to “Misty,” which includes thousands of documents and ended in Erroll winning $25,000 in damages. “Garner and Glaser were some of the only artists to initiate lawsuits against major record companies and win,” Heller said.